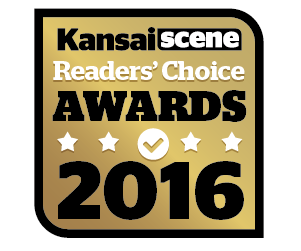 Announcing the winners of Kansai Scene’s first ever Readers’ Choice Awards! Killer music, a great atmosphere, and best of all Taco Tuesdays! Come here for the best craft beer prices in Kansai – and the hoppiest IPAs! Recently celebrating its 25th anniversary, Murphy’s continues to be a cornerstone of the Osaka bar scene. Indulge in some nostalgia and play some video games from your childhood. No retreating to a karaoke room here! Sing your heart out to your tipsy, toe-tapping audience. Modeled after a New York hotel suite, this place is as suave as it gets. With craft beer pairing suggestions for every burger (The gorgonzola burger is to die for. Try it with an IPA). A hidden gem of truly mouthwatering Pakistani and Arabic halal ethnic cuisine. Huge amounts of creativity poured into every dish – so flavorsome you could swear you were eating meat sometimes! Sleek and spacious rooms and hands down the best location in the city. Better known for its bargain books, this second hand chainstore also has a great selection of used clothes at selected locations. Hiroshi at KSNY once cut the hair of Sarah Jessica Parker while working in NYC! Stocking almost every grocery item you could ever want. Points for having fluent English speakers – Osaka Dental Clinic has your pearly whites covered.